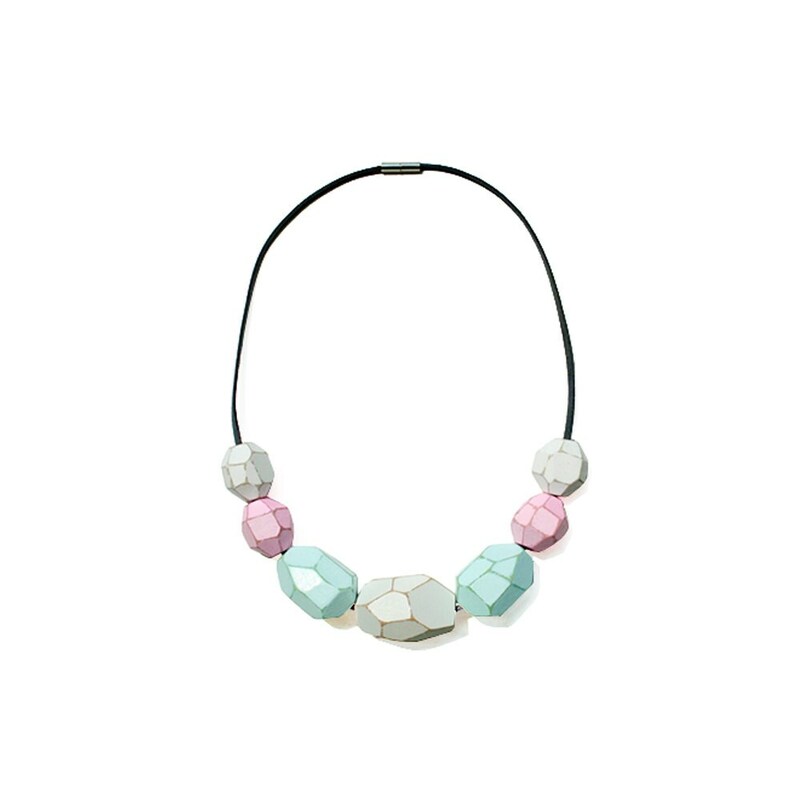 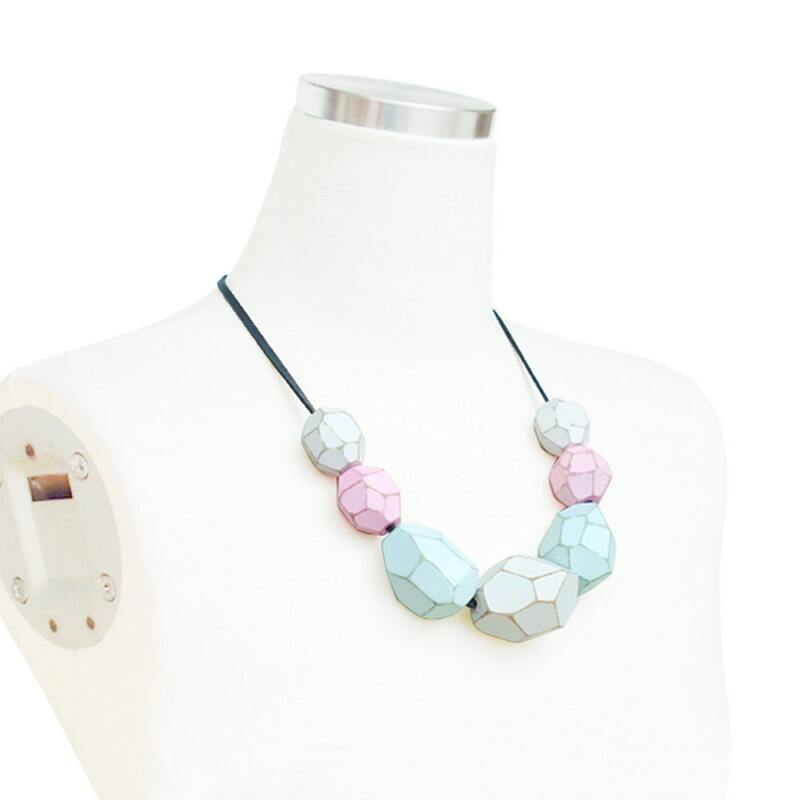 Simple but striking Wooden Gem Beaded statement necklace! 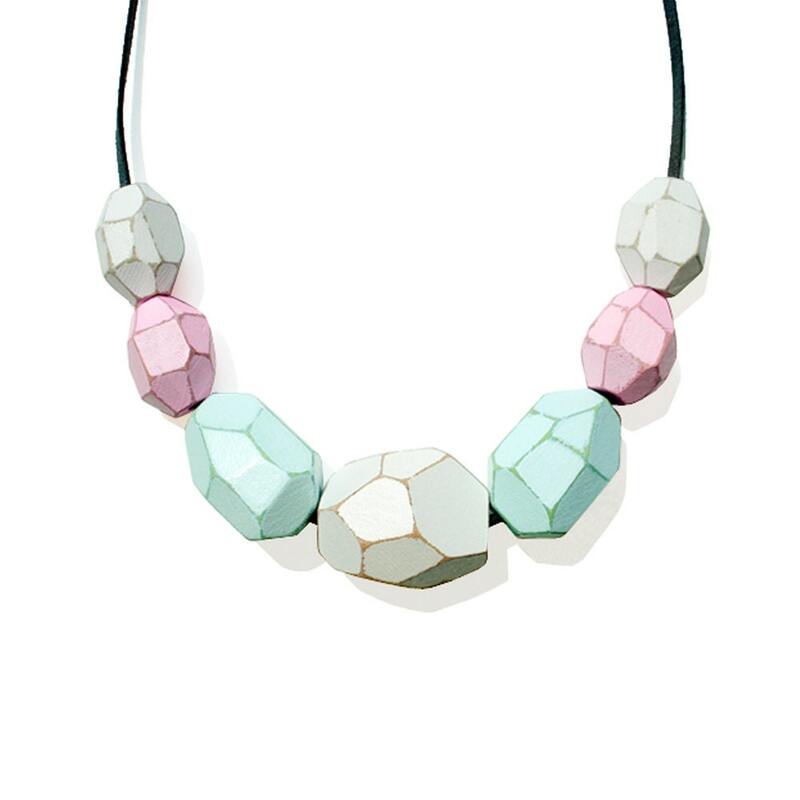 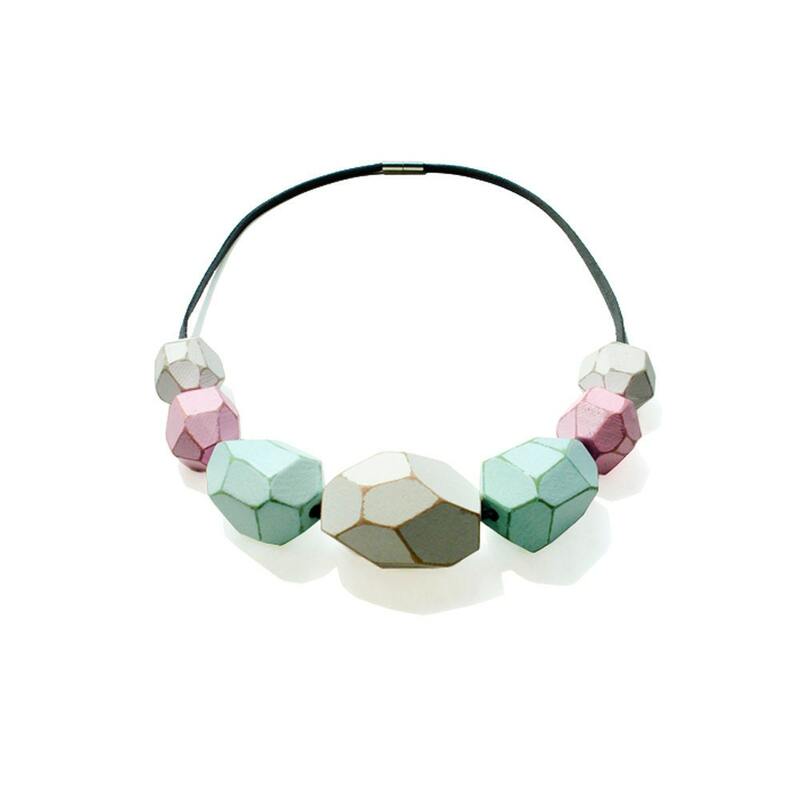 Combination of different sizes and color of geometric gem cut wooden beads stung on gray suede string and intertwined to create dramatic volume yet surprisingly lightweight. 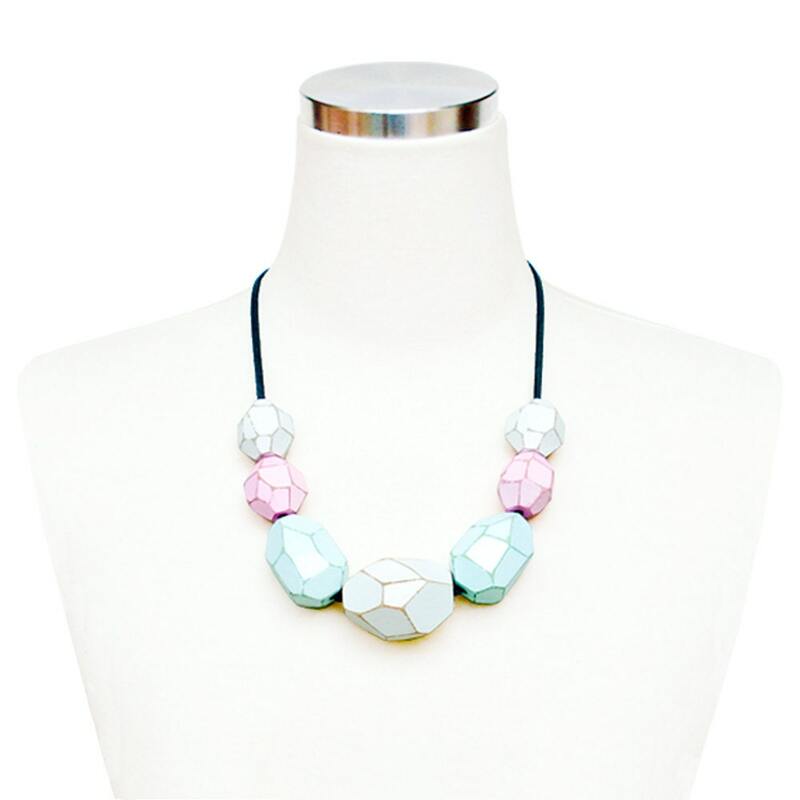 Complete with simple Magnetic clasp.